Both cards can be used along with a mobile app which allows you to check your balance and top up your card on the go. If you are going to spend a lot and make frequent withdrawals consider getting both cards, and using whichever offers the best rate on the day! i. If the Eurocard is used in Eurozone ATMs, or the Dollarcard is used in the USA. Cards are not just available in Euros or Dollars. 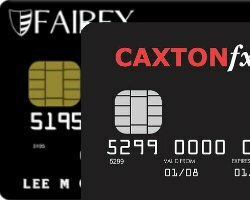 Caxton offers currency cards in 15 different currencies. Fairfx has an Everywhere card which can be loaded in GB pounds and then converted to the local currency. Different fees may apply to these cards. Please do be aware that these cards do not offer the same consumer protection that credit cards do - if the Bank or Building Society that issues the card runs into difficulties your cash could be at risk - however the bank and building society who issue these cards both 'ring fence' any funds held on cards to ensure that even if they got into financial difficulties funds would be available to repay their debts. We source our data through newspaper best buy tables, information from providers and more importantly from consumers such as yourselves - if you feel you have found a rate or product we should be talking about tell us here.